As Thanksgiving week (and week 9 of my Hybrid Routine) comes to a close, I figured I’d better catch up with my blog. When you last left your intrepid protagonist, he was experiencing the benefits of muting the music in the Insanity routine, Max Interval Plyo. Well, since then, I’ve performed each of my Insanity workouts this week with the music muted. It really is reassuring to hear the cast members huffing and puffing through the routines. It also makes me more aware of what’s actually happening and easier to follow the “very, very important” instructions given by Shaun T.
Tuesday: Shoulders & Arms; ARX. My numbers were up slightly from my last round of S&A in week 3. This is good, because it has a number of curls and my elbow muscles didn’t complain too much. Wednesday: Yoga X. Did my Yoga, including all the push ups in the moving asanas. Brined the turkey. Thursday: Max Interval Circuit. Picked up D from Tech, returned home and really worked it, burning 828 calories in 60 minutes (13.8 calories/minute). It was critical that I did, because although we dined on healthy turkey, sweet potatoes and green beans, stuffing was also involved. And my stuffing recipe includes 1 lb of pork sausage and 1/4 lb of bacon. Friday: Max Cardio Conditioning & Abs. A good ending to the week to keep the blood flowing and help to mitigate the effects of continued exposure to my stuffing recipe. 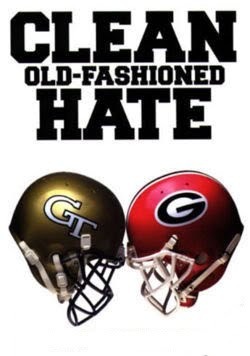 Saturday: Rest and Georgia Tech (hopefully) Defeats the Bullfrogs. I’ll be watching the game. But may also see if D wants to try Cardio Recovery. He needs to rebuild his left quad to help keep his knee cap in place from a fencing injury and surgery last year. There’s a lot of good quad work in that routine and I’m willing to suffer through it if he’s game. This entry was posted in P90X-Insanity Hybrid, Round 3 and tagged Ab Ripper X, Calories, Heart Rate, P90X-Insanity Hybrid, Shoulders & Arms. Bookmark the permalink.